Finding the metal was only part of the process. After the discovery was made the next step was to bring the ore out of the ground. 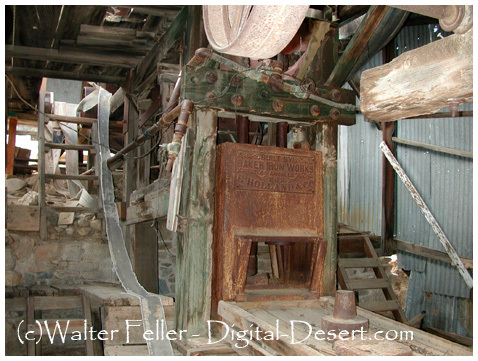 In the dry Mojave, hard rock miners dug and blasted, sinking shafts and tunnelings into the mountainside. Next, the ore would have to be crushed into a workable size before the metal could be extracted.